Do you keep a log in your RV? Before you respond, “Yeah, several, in the basement storage for when we want a nice campfire” — Beware, we’re talking paper, not wood, here. But enough beating around the tree. Many RVers have found keeping a travel log is not only fun, it can be beneficial when you “come back this way again.” There have been some places in our travels where we’ve seen some wondrous beauty; but, alas, the memory sometimes fails when we try to make our way back there. Having a note in writing as to “just where and what” can help as the old gray matter begins to slow down. Keeping an RV log can be useful in so many ways. 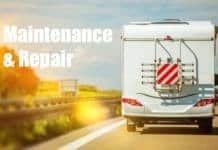 If you keep track of the miles you’ve driven pulling your trailer, you’ll have a better handle on how long your tires last; and if you service your axle bearings by “miles driven,” you’ll know when the maintenance interval has rolled around. Keeping track of the RV parks you’ve stayed in, listing site numbers for particularly loved (or level) spots and dollar costs for staying there can really help when trip planning and making reservations. 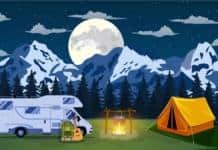 On the other hand, you may find having the information on that “RV park from hell” handy when sitting around the campfire and chatting with others who may be headed back where you’ve been. So what works for an RV log book? There are commercial log books available that have preprinted forms that make it easy to post your data. Other folks print and photocopy their own forms and use a three-ring binder to keep the pages in place. 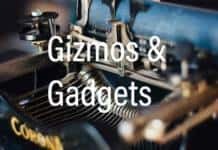 Still others have found that just keeping a spiral-bound steno pad on the flight deck can provide them with just what they need on an inexpensive and easy basis. We’ve tried to locate a suitable app for use with Android tablets but, so far, nothing really seems to have shaken out. This could be a hot lead for your smart developers out there! • Miles: Odometer readings for both tow vehicle and trailer. • Expenses: Fuel costs, station where purchased (could be an indicator of where to go next time), oil, maintenance, even unexpected repairs. Fuel economy notes are really helpful, both from a planning perspective but also recognizing that your rig may need mechanical attention. • Campground data: Name, address, site number, things you liked (or hated) and costs. • Weather: Combined with a date, this may give you a good idea for trip planning next time. Maybe that snowfall you encountered when towing your fifth wheel was memorable — but not something you want to do again! • Restaurants and attractions: Your new “favorite greasy spoon” and “that place where we bought Grandma all those neat knicknacks” could be repeat trip items. • Friends met: You could log their names and contact information here, as a backup for when you lose your address book. And be sure to keep your log book handy. A side pocket or glove box near the “navigator’s” seat, complete with a pen, makes the process easy to do every day. What’s faster than a speeding Tesla motorhome? Is it safe to run that cheaper Walmart DEF?